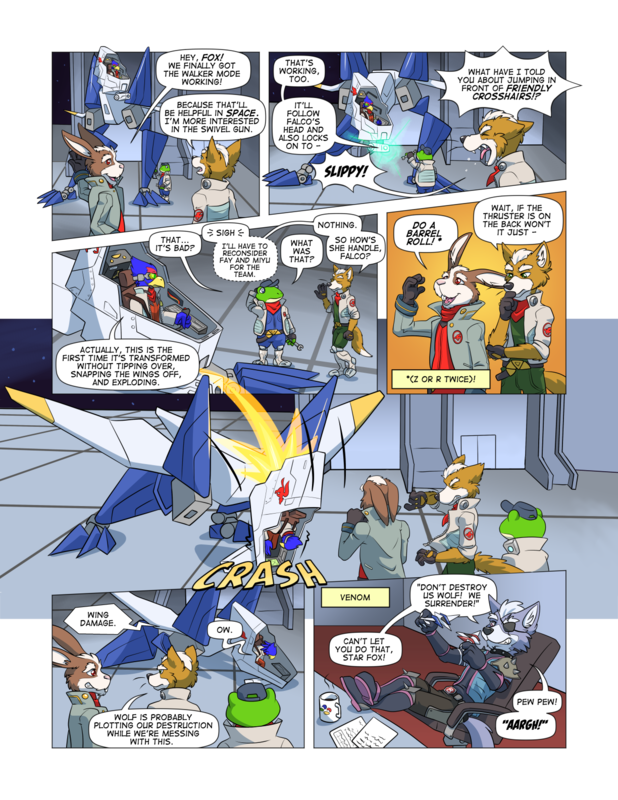 I recently got a chance to do a one page Star Fox comic for Nintendo Force issue 18. Too bad Nintendo pushed back the release of Star Fox Zero to 2016. I remember seeing that on the Nintendo Power cover ages ago. At first I thought they were metal boots till I saw that the ankle area was way to skinny for anything alive it fit through and figured they were prosthetics. This endeavor would have been so much easier with protoculture. They work really well in your style! Also, neat little thing to have the SNES/SFC insignia on the mug. I’m surprised an official Nintendo publication allowed that StarFox 2 reference. I’m not sure how official Nintendo Force is since it rose from the ashes of Nintendo Power. Even so, Nintendo talks about Star Fox 2 every now and then. I wouldn’t be surprised if SF2 was put on virtual console, we did finally get Earthbound Beginnings.